It was a really windy Saturday night and Sunday. 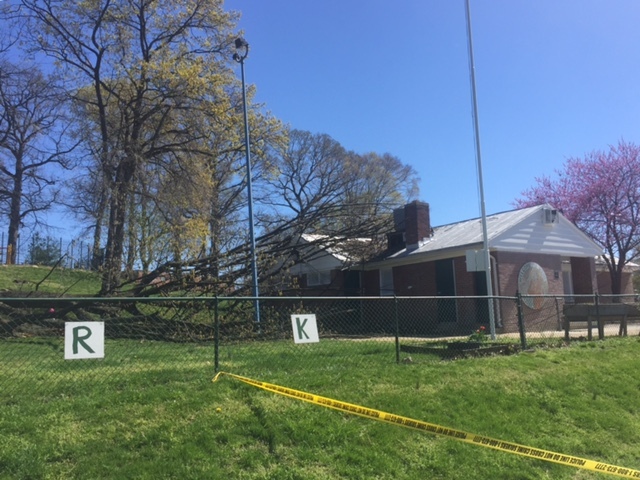 So much so that it looks like the wind took down a tree at Upshur Park. Thanks to reader Karl Deringer for sending these pics!